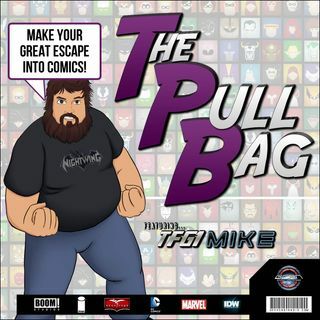 In Episode 325 of The Pull Bag Mike and Joe grab their favorite slice of Pizza and head back into the IDW TMNT series! This time around we talk about issues 73-75 of the main ongoing! Join us as we attend THE TRIAL OF KRANG!!!! Grab your own pizza pies and or sushi if you like that kinda thing, we know Master Splinter does!!! Join us here for all the Turtle Talk you can shake a pair of nunchakus at, because in Dimension X we’re gonna need all the help we can get!! As always Make Your Great ... See More Escape Into Comics!! !